Bible Study (International Students / Young Adults): We meet every Thursday at 8:00 PM. Contact us below for more info. MOSAIC Lunch Fellowship: is usually held on Sundays after the morning service at 12 PM at home or Church. Contact us thru the form below if you would like to join us or need more info. Mosaic is a diverse multicultural group of people that meet together to build friendships through Bible Study, mentorship, serving others, and many fun activities. International students and scholars are warmly welcome to Sunday worship and invited to luncheons after the service to interact with members of our congregation. Week night Bible studies are also ongoing to help Internationals learn about Christian disciplines and help them grow in faith. 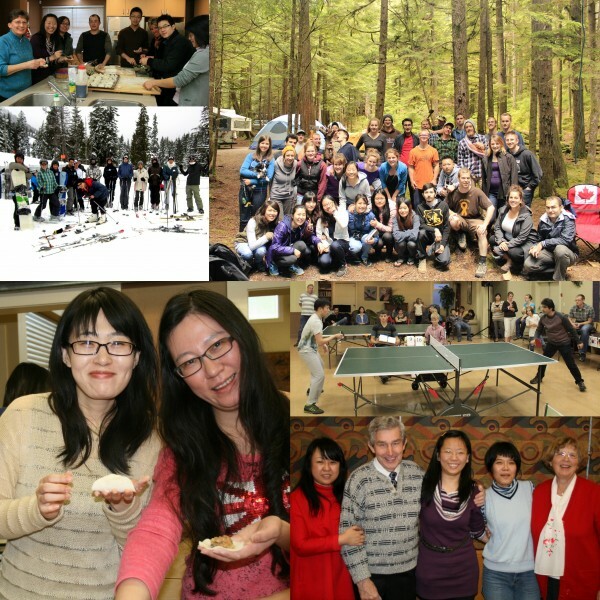 Participation with church members of all ages is encouraged with planned activities to bridge friendships like the yearly International PING PONG tournament, senior/Chinese New Year luncheon, the Young Adults camping trip, and the SD women’s spa nights! WERE YOU LOOKING FOR MOSAIC HOME? CLICK HERE.